Piece by piece, the Conjuring Universe is beginning to establish itself as a cornerstone of Hollywood’s horror genre. 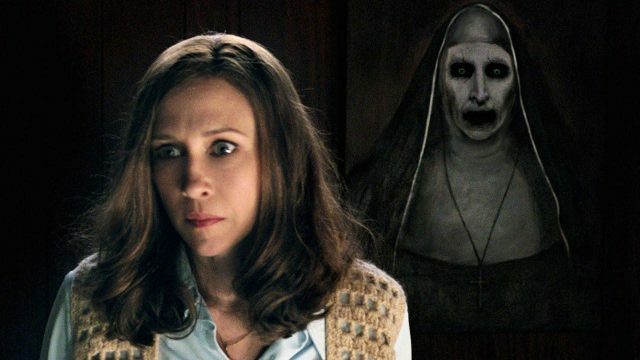 Up until now, Warner Bros. and New Line’s nerve-shredding franchise has made room for three feature films – namely The Conjuring and its unnerving sequel, The Enfield Poltergeist, along with Annabelle – but already there are plans in place for Annabelle: Creation, The Nun, and The Crooked Man. The latter two are based on characters introduced via The Conjuring 2, and while The Crooked Man is a project still in its infancy, The Nun has already set sights on a firm release date: July 13th, 2018. The Crow director Corin Hardy is at the helm of New Line’s spinoff, and over the past few weeks, Hardy has been busy posting status reports via Instagram. Pulled together by the folks over at Bloody Disgusting, below you’ll find a series of behind-the-scenes pics from The Nun, including stills of a tight-knit crew, exterior shots of a graveyard, and dusty old ornaments from a bygone era – so everything you’d expect from a Conjuring spinoff movie, really. Day 1 of #TheNun. And. We're off. Day 15: A grave end to a long week shooting #TheNunMovie. My natural habitat. Set within the universe created by Chad Hayes and Carey W. Hayes, The Nun has tapped an all-star cast, too, including Taissa Farmiga, the daughter of series stalwart Vera Farmiga (Lorraine Warren). Demian Bichir, Bonnie Aarons, Charlotte Hope, Jonas Bloquet and Ingrid Bisu round out the ensemble cast. The story centers on a young nun at a cloistered abbey in Romania taking her own life, with a priest with a haunted past and a novitiate on the threshold of her final vows sent by the Vatican to investigate. Together they uncover the order’s unholy secret and confront a malevolent force in the form of the same demonic nun from The Conjuring 2. The Nun will be with us on July 13th, 2018.